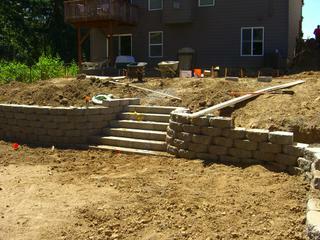 Ramp up to front of house along the side. 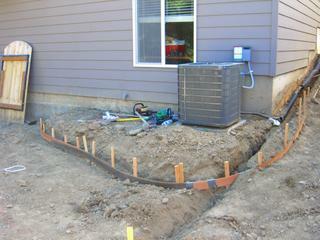 Concrete forms create a curved shape around the AC. 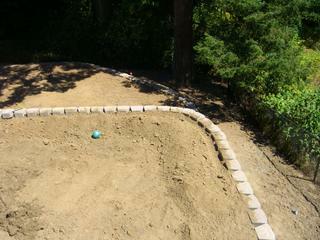 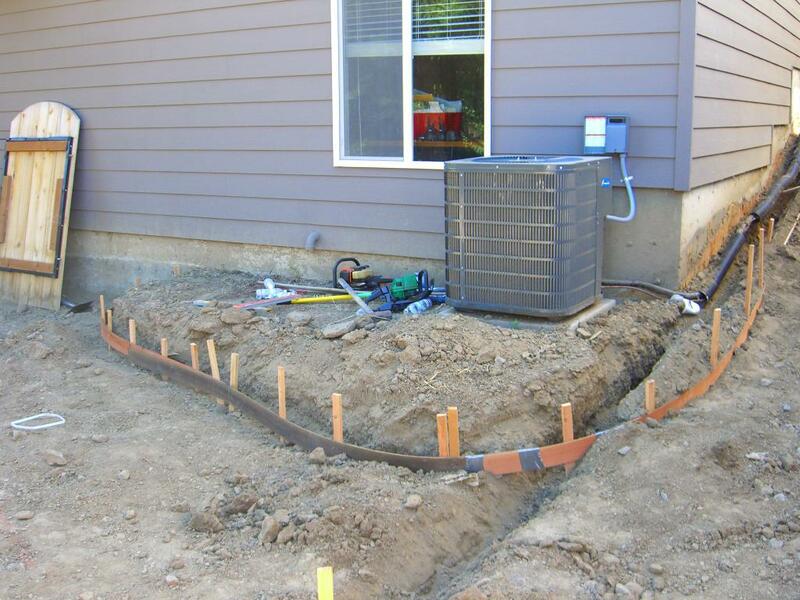 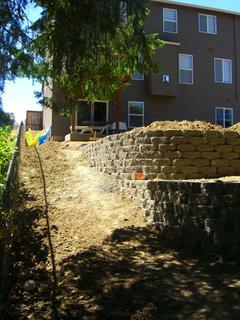 A short retaining wall will be installed here with builtin lighting blocks. 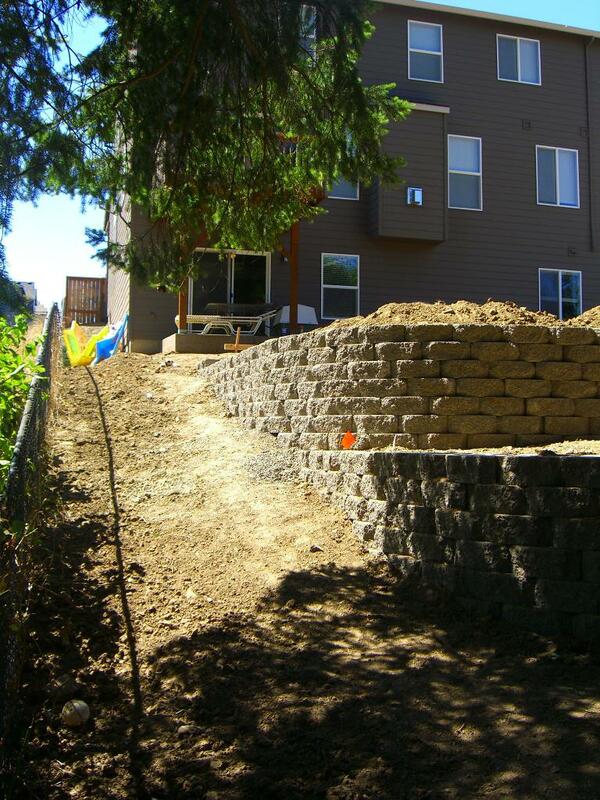 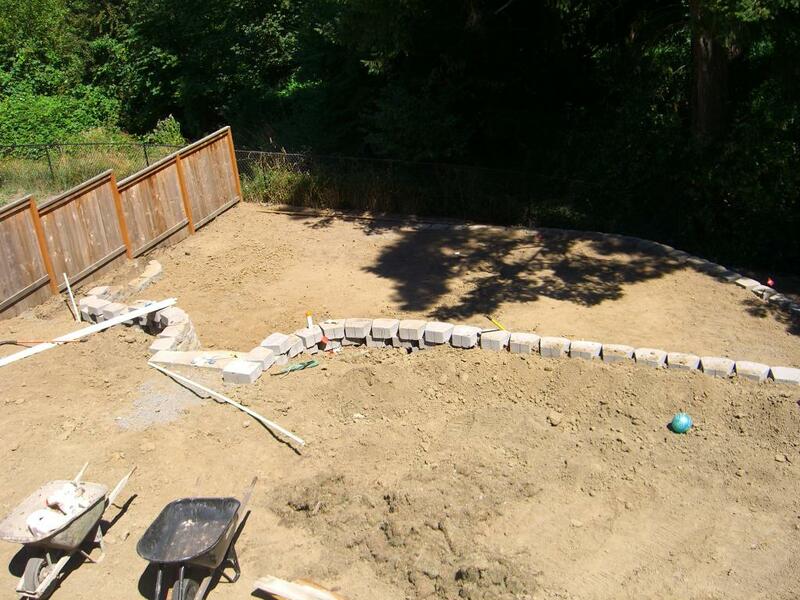 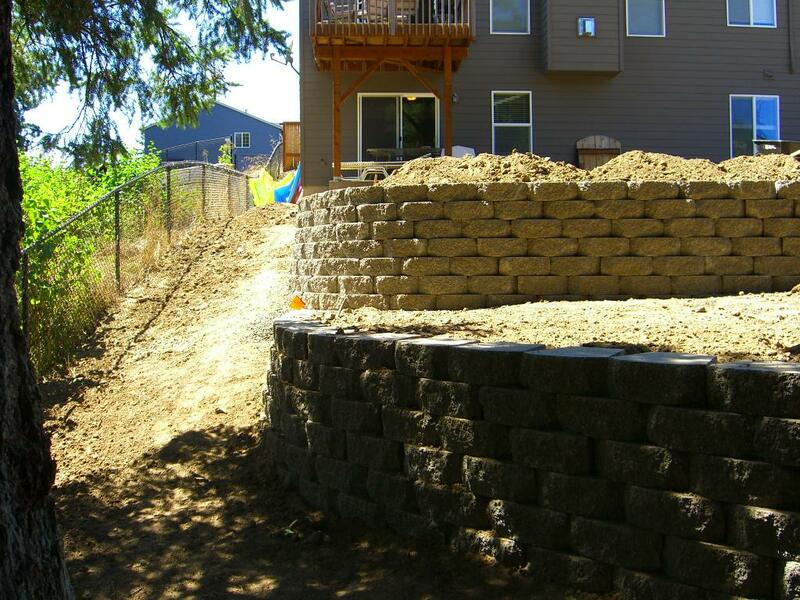 Retaining wall isn't quite finished yet. 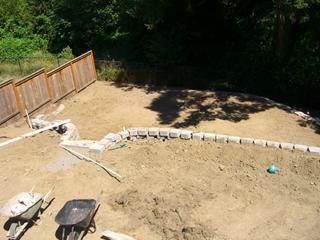 One more row of block will be added on the left and more work needed on the right side. View taken from where the play structure will be. 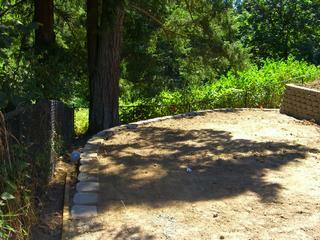 Views of lower playground area and upper open area from deck.